An in-house business office and billing services offers a Payment Assistance Program and financial counseling. 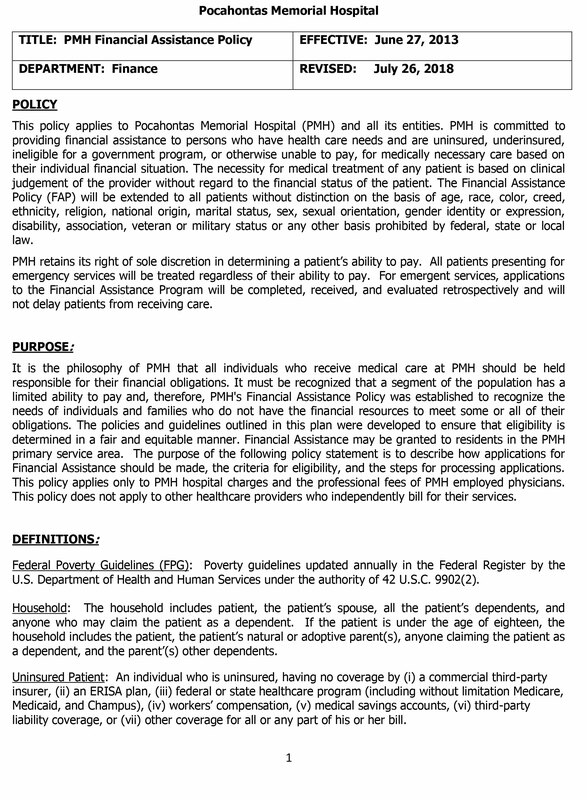 Medicare, Medicaid, and insurance plans are accepted. Pocahontas Memorial Hospital offers several options for patients who may be in arrears including exonerations and payment plans. Pocahontas Memorial Hospital takes pride in its mission to provide care to all who need it. If you find that you are not able to fully pay for your care, our Business Office may be able to help by providing aid to those who qualify for assistance or by helping you to get low-cost health insurance. It is extremely important that you let us know if you might have trouble paying your bill, particularly since we are required to seek full payment for services provided. This means that we must turn unpaid bills over to collection agencies or to the magistrate if there has been no agreement between the hospital and the patient on a payment plan. If you believe you qualify for aid, or if you need to set up a payment plan, please contact the Business Office at 304-799-7400 extension 1300. Click here for our Financial Assistance Application for discount pay. A list of additional items required is included. 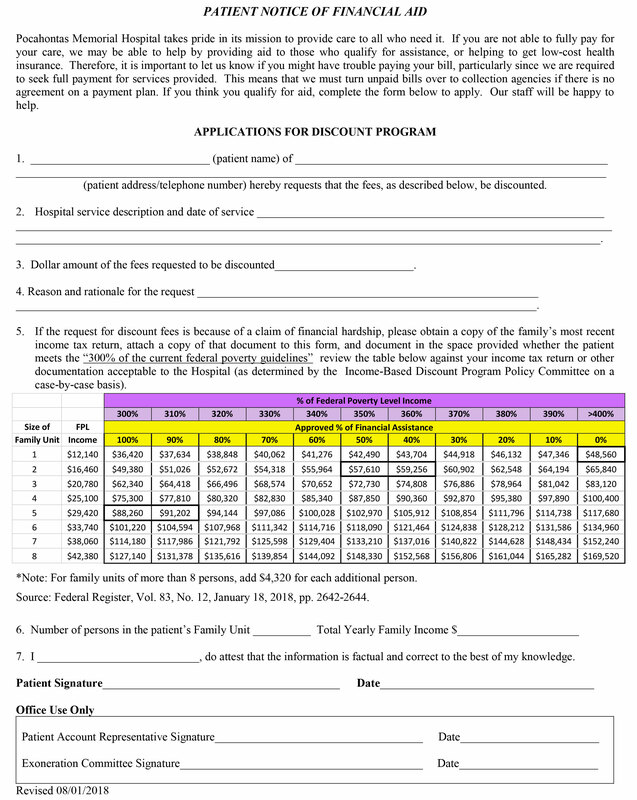 Click here for our Financial Assistance Program Policy. New price transparency requirements for hospitals from the Centers for Medicare & Medicaid Services’ (CMS) require all hospitals to make available a list of their current standard charges via the Internet. 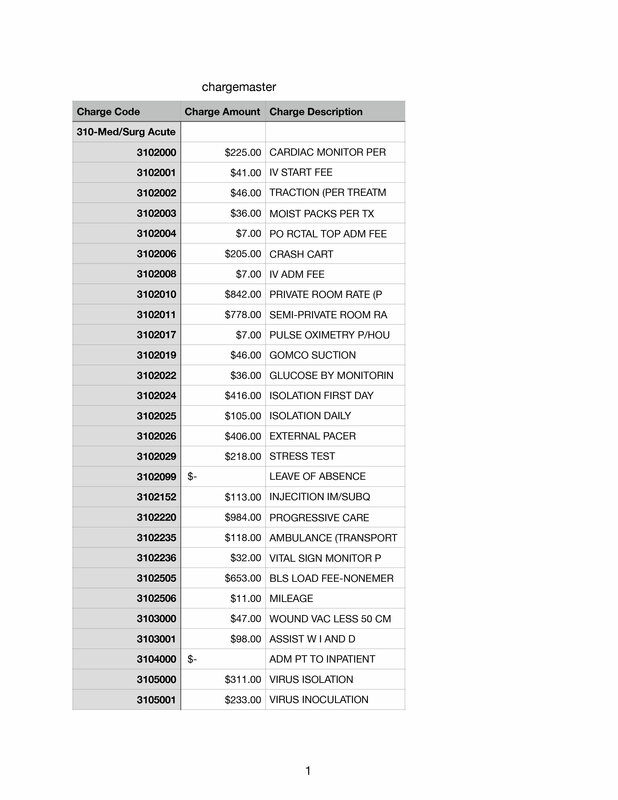 Click here for a list of our Standard Charges.